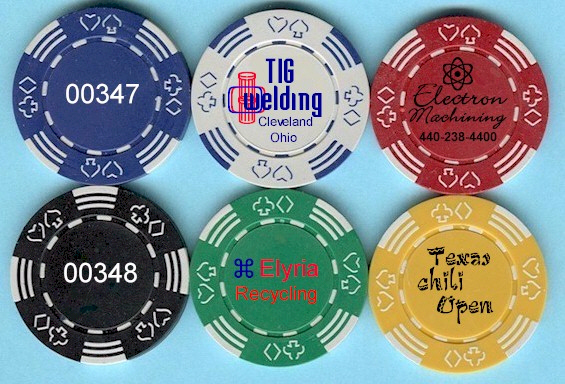 We offer 5 different varieties of clay poker chips. 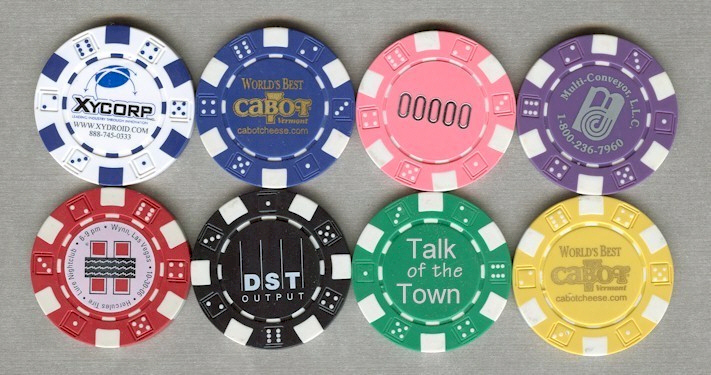 All prints are directly on chips, no stickers. Best Seller! - Larger Imprint Area! 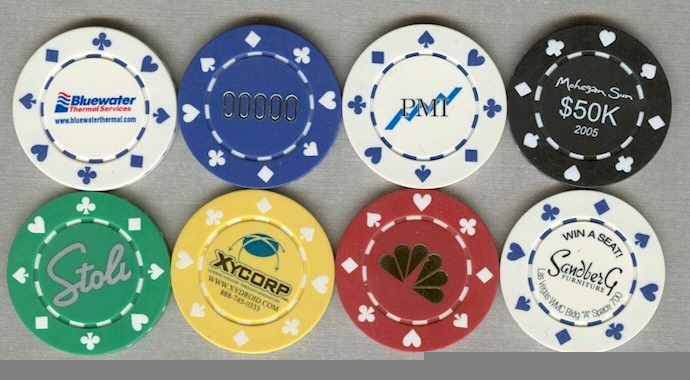 Chips of differing colors but same design may be assorted in increments of 100 pieces only, at no extra charge.